Dusty Springfield was a big, big star in the 60's with hits on both sides of the Atlantic, but she was much more than that. Dusty was an icon, partly because of her sexuality, but also because she showed that a singer in the sixties, and a female singer at that, could have some control over her career. She could choose what she wanted to record and not just sing songs she was told to. The box set, The Magic of Dusty Springfield is both perfectly titled, because she did make magic, and because it shows the many facets to the recording career of one of the great voices of the 20th century. Born Mary O'Brien in London in 1939, Dusty began singing with the Lana Sisters, before forming a group with her brother Tom and Mike Hurst. The Springfields, as they called themselves signed to Phillips and had some minor hits including, 'Say I Won't Be There' and 'Island Of Dreams', and made the Billboard Top 20 with 'Silver Threads and Golden Needles'. Dusty went solo in 1963 and her wonderful voice coupled with a great choice of song, 'I Only Want To Be With You' made No.4 on the charts, helped in no small part by being featured on the first ever Top of the Pops on BBC TV in January 1964. It was arranged and conducted by Ivor Raymonde who later did so much to help the Walker Brothers create such wonderful sounding records. 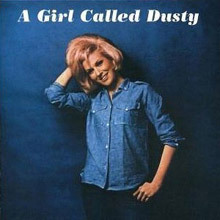 Her first album, A Girl Called Dusty, came out in April 1964 and included mostly cover versions of Dusty's favourite songs, including 'Mama Said' and 'Twenty Four Hours from Tulsa'; it reached No. 6 in the UK. Later in 1964, Dusty recorded two more Burt Bacharach songs: 'Wishin' and Hopin' and the towering, 'I Just Don't Know What to Do with Myself' that made No.3 in the UK. At the end of 1964 Dusty was deported from South Africa after she performed for an integrated audience at a theatre near Cape Town. It was a sign of both her independence and her love of black music. In 1965, she had three more UK Top 40 hits, 'Your Hurtin' Kinda Love', 'In the Middle of Nowhere', and a gorgeous song written by Carole King, 'Some of Your Lovin'. 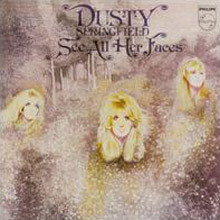 However, these were not included on her next UK album Ev'rything's Coming Up Dusty in October 1965; it peaked at No. 6 on the UK chart. Dusty Springfield was a big fan of Motown and she was one of the only white singers who could get close to the sound of the Detroit label's records. She was very picky about what she recorded which means that every Dusty record has her mark upon it. She was not like many of the singers from the era who were happy to record just about anything they were told. In 1965 Dusty took part in the San Remo Song Festival and heard 'Io Che Non Vivo (Senza Te)' performed by one of its composers Pino Donaggio. The song with English lyrics, written by Dusty's friend, Vicki Wickham, and Simon Napier-Bell was 'You Don't Have to Say You Love Me', released in May 1966 it reached No. 1 in the UK and No. 4 in the US. According to Napier-Bell who became her manager, "There, standing on the staircase at Philips studio, singing into the stairwell, Dusty gave her greatest ever performance - perfection from first breath to last, as great as anything by Aretha Franklin." He also reveals that, "Vicki [Wickham] and I had thought our lyric was about avoiding emotional commitment. Dusty stood it on its head and made it a passionate lament of loneliness and love." Whatever it's about it is one of the great pop singles by a female vocalist. Dusty may have thought it "good old schmaltz" but it's schmaltz to last. For a great insight into her choice of songs check out, Complete A and B Sides (1963-1970), it is exactly what it says it is, and brilliant. More hits followed including her outstanding version of 'Goin Back' before she recorded with Jerry Wexler an album called simply, Dusty in Memphis. It included still another top ten song, 'Son-Of-A Preacher Man' as well as one of the sexiest records ever, 'Breakfast in Bed'. Another record from 1969 that was barely a hit was the fantastic, 'Am I The Same Girl'; it was later covered by Swing Out Sister and to be fair they got very close to equalling Dusty's performance. It was a simple homage to arguably Britain's best female singer. After a period of much reduced professional activity in the 1970s and early 1980s, a period when Dusty had serious issues with both drink and drugs she came back with a bang in 1987. She recorded with The Pet Shop Boys, 'What Have I Done To Deserve This? ', made No.2 on the UK charts and rekindled many people's interest in a singer who had never fallen out of affection with her fans. She followed it with the excellent 'Nothing's Been Proved' from the movie Scandal about shocking goings on in the upper echelons of British politics in the 60s - who better to sing the theme song? In 1994 Dusty Springfield was diagnosed with breast cancer, but after appearing to beat it in 1996 it reappeared and she became very ill before dying on 2 March 1999, just eleven days before she was scheduled to be inducted into the Rock and Roll Hall of Fame. This 1964 album was the U.K. equivalent of the LP that Americans knew as I Only Want to Be with You -- as such, most of what was on there is embraced by the middle-late '90s reissue of that title. Polygram's British operation, however, not content to have their thunder stolen, reissued the CD separately in 1997 on the Mercury label, under its original U.K. title with eight bonus tracks taken from her first two EPs, which never made it onto an album in England. The remastering of the original LP material is, of course, spot-on (though one someday hopes to see this catalog redone for 24-bit remastering and playback). The bonus cuts include an alternate mix of "I Only Want to Be with You" with a slightly crisper profile to the rhythm instruments, and such contemporary sides as "Everyday I Have to Cry," "Can I Get a Witness," and "All Cried Out," along with slightly less familiar fare such as the stunningly soulful "I Wish I'd Never Loved You," "Once Upon a Time," and "Summer Is Over." Coupled with the original album tracks such as Springfield's devastating cover of "Will You Love Me Tomorrow," they make this a towering release in its own right, separate from the U.S. issue of I Only Want to Be with You. Most of the bonus tracks do turn up elsewhere, but it is very handy to have all of her early 1964 sides in one place, between the same two covers, and the whole CD is a overpowering listening experience. Indeed, if she'd never recorded another LP, Springfield would still have been a legend, based on the contents of this one release. 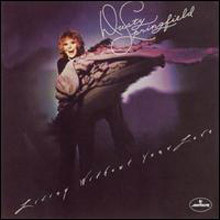 Where Am I Going is a phenomenal album by Dusty Springfield, and though it doesn't have any American chart hits made famous by the icon, it would have been a blessing had every single performance here conquered the Top 40. The British version contains 12 tracks, while the U.S. counterpart, entitled The Look of Love, has 11, four of which are not on the vinyl version of this: "Small Town Girl," "What It's Gonna Be," "Look of Love," and "Give Me Time." That means the U.K. fans got five tracks not available on The Look of Love. To further complicate things, the CD version contains three bonus tracks, including the Goffin/King tune "Don't Forget About Me" from Dusty in Memphis, "Give Me Time" from the British pressing of this, and "Time After Time." The All Music Guide lists John Franz and Jerry Ragovoy as the producers, while the original album version lists nine arrangers, conductors, and directors, but gives no production credit. 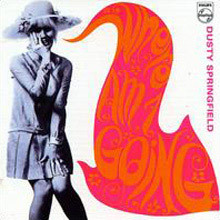 The LP cover is great -- a black and white of a smiling Springfield with wide-brimmed hat, mini skirt, and a comic book quotation in psychedelic off-pink and orange stating Where Am I Going. The music inside with strings and orchestration is a relentless delight. The Pat Williams arrangement of Bobby Hebb's "Sunny" with conductor Peter Knight reveals a touch of the James Bond riff, a definite sign of the times. One can hear the wondrous voices of Madeline Bell and Lesley Duncan, the backing voices blending perfectly with the orchestration in songs like "I Can't Wait Until I See My Baby's Face" and "Don't Let Me Lose This Dream." "Where Am I Going?" is as perfectly surreal as its title suggests -- imagine Julie Andrews in The Sound of Music twirling around in the windmills of Springfield's mind. This is not the driving pop of "I Only Want to Be With You" or "Wishin' &amp; Hopin'," this is symphonic adult contemporary. "They Long to Be Close to You" is the serious and dramatic blues that the Carpenters aspired to develop. "Welcome Home" is out of this world rhythm &amp; blues told with authority. It and other tracks from Where Am I Going? puts Springfield in that elite class reserved for the best of Janis Joplin, Etta James, and Ella Fitzgerald -- female vocalists who found notes in niches of songs that were unavailable to lesser mortals. While Springfield was filling the airwaves in America with "The Son of a Preacher Man" toward the end of 1968, a band called Vanilla Fudge had "Take Me for a Little While" on the U.S. charts, but their disc was issued in July of 1967 and their success in the States was a delayed reaction. Dusty Springfield takes that great composition and turns it into snappy pop with an amazing vocal. Add "If You Go Away" and the musicians on these grooves take the listener on a wild ride running the gamut of genres without disrupting Where Am I Going? 's flow. This is a tremendous and often forgotten masterpiece in the repertoire of Dusty Springfield which deserves more attention. It truly is the record which keeps on giving. Sticking with the soul stylings of her stellar Dusty in Memphis recording, Springfield takes her sensual huskiness north to the City of Brotherly Love for this 1970 slice of Philly soul. Doing incredible justice to a batch of top-quality Gamble &amp; Huff songs, Springfield trades in the Stax-inspired swamp grit of her Memphis album for the urban soul kaleidoscope of A Brand New Me. Surrounded by angelically funky string and horn charts from guitarist Roland Chambers and Thom Bell (along with Gamble & Huff, Bell can be counted as an architect of Philly International sound), Springfield sounds positively liberated ranging through the gospel pop closer "Let's Talk It Over," an Aretha-inspired "Silly, Silly Fool," and the Bacharach-styled ballad "Joe." These get topped off by the upbeat Jackson 5 knockoff "Bad Case of the Blues" and covers of two of Jerry Butler's best Mercury hits, "Lost" and "A Brand New Me." Along with Dusty in Memphis and her early You Don't Have to Say You Love Me record, Brand New Me figures into Springfield's handful of really top-notch albums. 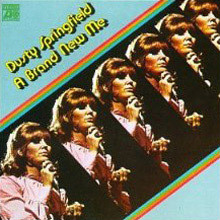 Dusty Springfield's second British LP was roughly equivalent to the American You Don't Have to Say You Love Me album, which appeared ten months later in the United States and had the title hit and one other song ("Little by Little") added, and three of the U.K. edition's songs stripped off. The British version also appeared as a gatefold, filled with a series of beautiful photographs and extensive notes. More to the point, this second album presented a more mature Dusty Springfield, doing songs by Leslie Bricusse and Anthony Newley, Randy Newman and co., although all of the material here -- even "Who Can I Turn To," from the musical The Roar of the Greasepaint -- still has a soulful edge. Moreover, she scales new heights of passion on Rod Argent's "If It Don't Work Out" and the ethereal "That's How Heartaches Are Made," and seems close to bursting her lungs on Gerry Goffin and Carole King's "I Can't Hear You." A little more than half of this album -- mostly the up-tempo numbers -- was recorded with her on-stage backing group the Echoes, and they have a nice, lean band sound that was also a departure from the lushly orchestrated, outsized production of her early singles sides. The whole record comes off as perhaps the greatest Motown album that was never made by Motown, and has a pleasing unity in its British form that the U.S. version lacks. 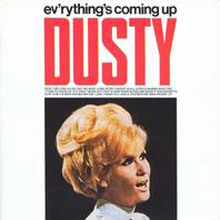 Ev'rything's Coming Up Dusty has been reissued twice on CD, first in 1990 from BGO Records and again, in 1998, from Philips Records in England, augmented with eight bonus tracks, all songs that she recorded in September of 1964 with producer Shelby Singleton and arranger Ray Stevens, most of which turned up in America on the Ooooooweeee! album, but three of which were unreleased in England until the issue of the Philips CD. 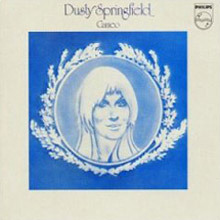 Recorded in Britain only slightly prior to or at about the same time as Dusty in Memphis in August and September 1968, Dusty Definitely, which was not issued in the US, was a more pointedly pop production. As was the case with several of her 1960s albums, it explored a bunch of directions besides soul and rock, some well, some not so well. The cover of Erma Franklin/Big Brother's "Piece of My Heart" (titled "Take Another Little Piece of My Heart" here for some reason) was excellent and would have been way up to par for inclusion in Dusty in Memphis, and "Ain't No Sun Since You've Been Gone" was pretty storming blue-eyed Motown-styled soul. On the other hand, the covers of Charles Aznavour's "Who (Will Take My Place)" and Bacharach-David's "This Girl's in Love with You" put her forth as an interpreter of popular ballad standards that could have been done for the most mainstream cabaret gig. The readings of Randy Newman's "I Think It's Going to Rain Today" and the more obscure, but beautiful and lilting, "Morning" fell between the polar extremes, and were quite worthy. John Paul Jones, who was only just joining Led Zeppelin at the time, arranged a couple of the hotter cuts ("Piece of My Heart" and "Ain't No Sun Since You've Been Gone"). All but two of the songs were reissued on the Rhino collection Dusty in London, a 24-track survey of her British sessions from 1968-1971. More than just a very excellent recording from Dusty Springfield, Cameo is one of the finest efforts from the team of Steve Barri, Dennis Lambert, and Brian Potter. Springfield reinvents Van Morrison's "Tupelo Honey," including a verse not among the enclosed lyrics nor heard on Morrison's familiar FM radio hit. What you can hear is a carefulness, not from the singer, but from the production team who worked in different degrees with the 1972 and 1975 Grass Roots. There is nothing disposable here, nothing of the throwaway nature found on portions of those Grass Roots discs. "Learn to Say Goodbye" is a masterpiece of tortured soul. Thankfully, it was included in the ABC movie of the week Say Goodbye, Maggie Cole and got some additional exposure, but for the label that brought "Joy to the World" by Three Dog Night to the multi-platinum level, ABC's failure to break this potential hit is glaring. Hugo Montenegro -- the man responsible for 1968's "The Good, the Bad and the Ugly" theme -- co-wrote this, and it is superb. While Helen Reddy was filling the airwaves with "Delta Dawn" and "Leave Me Alone (Ruby Red Dress)," it was prime time for Dusty's "Learn to Say Goodbye" or the brilliant opening track "Who Gets Your Love" to rescue radio listeners. That Lambert and Potter piece is outdone by their "Breakin' Up a Happy Home" which follows. This is pure Philly sound, and with the help of Hal Blaine, Michael Omartian, and the everpresent Vanetta Fields and Clydie King, it is simply amazing that this album didn't get more attention. When Dusty Springfield takes on "Easy Evil" by frivolous songwriter Alan O'Day -- the man who wrote "Rock & Roll Heaven" and sang "Undercover Angel" -- you understand she can do no wrong here. The production and the performance is top notch. "Mama's Little Girl" sounds like it inspired Gamble & Huff's Elton John hit "Mama Can't Buy You Love," which came six years after this, the brilliance of Gamble and Huff clearly influencing Steve Barri and company. The choice of material is wonderful; David Gates' "The Other Side of Life" shows how a song of his can blossom outside of the confines of his hit group, Bread. All 12 titles are sublime pop, some of the best Lambert and Potter you'll find anywhere. What a hook they wrote for this artist with "Comin' and Goin'," and what heart! It moves and grooves like one of those album tracks you wish was beat into your head on a daily basis by Top 40 radio. Ashford & Simpson can be very proud of "I Just Wanna Be There"; Springfield just claims the tune as her own, with horns and backing vocals creating the wave for her magical voice to ride. Audiences can get caught up in the hit records of an artist, and often they fail to seek out the material they never got familiar with. Universal's Hip-O label has re-released Cameo under the new title Beautiful Soul with additional tracks. It hopefully will get people to hear Dusty Springfield take Willie Hutchison's "Who Could Be Loving You Other Than Me" to another realm. Just a wonderful, wonderful record. Living Without Your Love is the eleventh studio album recorded by singer Dusty Springfield, and tenth released. The album was recorded in summer 1978 and released in early 1979. Never released in the US, See All Her Faces was a hodge-podge of tracks from the late 1960s and early 1970s, some of which had previously appeared on Atlantic singles in the States, although it did have some good moments. One of those was the bossa nova-influenced title track, and she does another bossa nova-flavored number, "Come for a Dream," co-written by Antonio Carlos Jobim. As always there were some really straight orchestrated pop ballads, like "I Start Counting," and something that sounded like an attempt to emulate whatever was happening at Motown at the moment ("Girls It Ain't Easy"). There were also some deep soul-speckled outings (the 1969 single of Tony Joe White's "Willie & Laura Mae Jones," Goffin & King's "That Old Sweet Roll (Hi-De-Ho)"), and some half-decent cuts from early-seventies singles that Ellie Greenwich and Jeff Barry helped write ("What Good Is I Love You," "Nothing Is Forever"). Eight of the tracks are on Rhino's compilation of 1968-71 British recordings, Dusty in London; all but one ("Girls Can't Do What the Guys Do") of the six remaining tracks appears as one of the bonus cuts on Rhino's reissues of Dusty in Memphis and A Brand New Me. If you live in the US, picking up all of these Rhino reissues, rather than hunting for the See All Her Faces album, seems like the way to go. 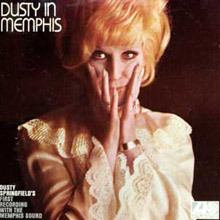 Sometimes memories distort or inflate the quality of recordings deemed legendary, but in the case of Dusty in Memphis, the years have only strengthened its reputation. The idea of taking England's reigning female soul queen to the home of the music she had mastered was an inspired one. The Jerry Wexler/Tom Dowd/Arif Mardin production and engineering team picked mostly perfect songs, and those that weren't so great were salvaged by Springfield's marvelous delivery and technique. This set has definitive numbers in "So Much Love," "Son of a Preacher Man," "Breakfast in Bed," "Just One Smile," "I Don't Want to Hear About It Anymore," and "Just a Little Lovin'" and three bonus tracks: an unreleased version of "What Do You Do When Love Dies," "Willie &amp; Laura Mae Jones" and "That Old Sweet Roll (Hi-De-Ho)." It's truly a disc deserving of its classic status. In 1990, after almost a decade's absence from the new-release lists and an even longer time away from the charts, Dusty Springfield re-emerged with Reputation. A partial collaboration with the Pet Shop Boys, it proved to be her most satisfying record in 15 years and sold better than anything that she'd released since the '60s. The late-'80s synth pop sound melded perfectly with Springfield's still very expressive, powerful, and soulful singing -- Dan Hartman handled the producing chores on four of the cuts, Andy Richards on one, and the album has a unified sound, at once airy and dense, soaring and deep. The best cuts, however, are the five produced (and, in all but one case, written) by Neil Tennant and Chris Lowe of the Pet Shop Boys. Much as Robert Fripp may have been put on this earth first and foremost to produce the Roches, Tennant and Lowe's collaborations with Springfield are as satisfying and unified and whole as she ever achieved working with Jerry Wexler, Thom Bell, and Roland Chambers 20 years earlier. She seems to reach that much higher and also that much deeper inside of herself on "In Private" and "Daydreaming" to much subtler effect; those cuts are very much of a piece with her best work on the Dusty in Memphis, A Brand New Me, and Cameo albums, just later links in the same chain, and their effect is to leave the listener breathless and delighted with their sheer beauty as recordings, as well with as her performance.